For fans of Dan Brown and Preston & Child, a riveting archaeology-based murder mystery. World-renowned scientist Anlon Cully is unexpectedly swept into the thick of a suspense-riddled adventure when his archaeologist uncle, Devlin Wilson, dies under suspicious circumstances. Prior to his death, Devlin made the discovery of a lifetime – unearthing undeniable proof of an advanced society that thrived on Earth ten thousand years ago! 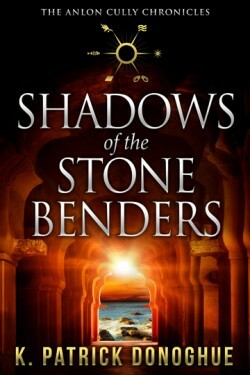 The key to his discovery is a set of mysterious stones forged by the long forgotten culture. Instilled with formidable powers, the stones draw the attention of villainous thieves hell bent on their acquisition by any means possible. Aided by friend Pebbles McCarver and police detective Jennifer Stevens, Anlon follows bewildering clues left by his uncle in a dangerous chase to unravel the stones’ secrets before the killer strikes again.